The Westwood home at 1521 Club View Dr LA CA 90024 received its first large price reduction of 10.02% or $300,000, down to $2,695,000. The home came on the market 56 days ago for $2,995,000 and this is the first price reduction of the current listing term. 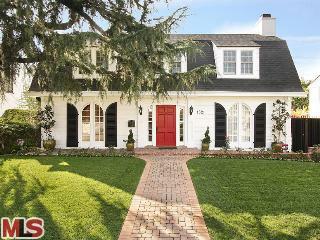 The home was significantly remodeled since its purchase in 2007 for $2,382,000. Imported materials, updated systems, new gourmet kitchen, updated baths, etc... According to the MLS, the home is a 4 bedroom / 4.5 baths, 3,386 sq ft of living space on a 8,015 sq ft lot.